Studying international liberal arts is not limited to increasing your amount of knowledge. It means to break out of your shell, improve your social skills, and lay the foundation of knowledge in yourself to gain a broad perspective and free will to act as well as the capacity to judge. Students enter our university with a strong sense of purpose. They have a strong will to follow their own path and learn at their own initiative. Students full of ambition and the desire to take on new challenges improve themselves by inspiring and learning from each other under our unique educational program that fosters global leaders. 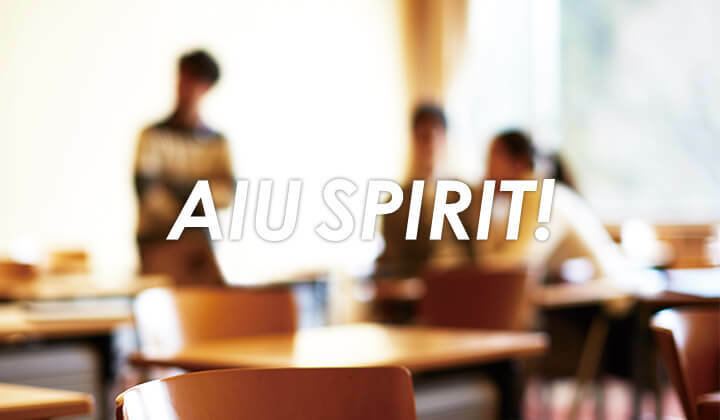 Akita International University, where the spiritual culture "AIU SPIRIT" thrives in, has continued to take on new challenges since its foundation.